The nation is astonished by Richard Arnold's shock bod on GMB! Anyone who was finding it hard getting up this morning had some unexpected help from GMB entertainment host Richard Arnold. In a segment honouring the phenomenal success of Love Island, the witty couch potato strode into the studio clad in nothing more than a pair of snug red bathing shorts and sunglasses, leaving the nation astonished. Dumbstruck viewers drank in what they were seeing on screen, but simply couldn’t get their heads around any of it! 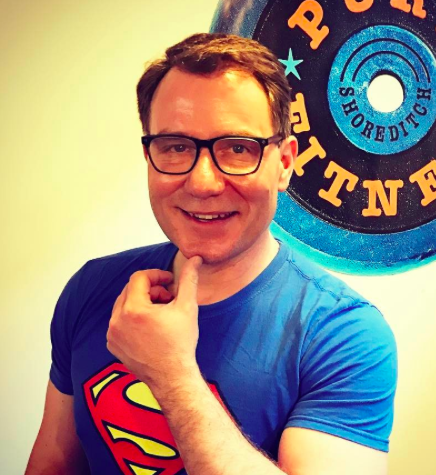 Against all the odds, the shirtless Richard Arnold looked like some kind of heaven sent Adonis! A bona fide hunk, if you please! Yes, boys, we know he was heavily contoured, but take a closer look and you will see that his pecs do look genuinely perky. And while he might not sport a six pack, Richard’s tum looks pretty taut. So to sum up – he looks fit AF! Now, in all honesty, we’d always thought that when pushed we could quite possibly be laughed in to bed by the cute gossip monger, but little did we know what lay beneath those grey suits on GMB. So now, as superficial as it sounds, we’re seeing our dandy Dickie in a totally different light. After a wee lie down, we took a moment to think long and hard about the other guys on GMB who have tickled our fancies of a morn and realised that the show is in actual fact rammed with foxy fellas. 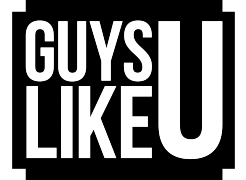 Do you agree with the 50 gays on the street? Which of the GMB chaps do you fancy most and why? Previous ArticleEXCLUSIVE Vangelis: "Boy George and I are JUST friends!"